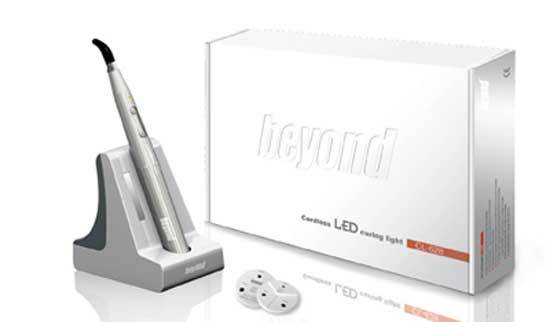 It has curing power up to 1000 mW/cm2 and has a dual wavelength system to cure any dental composite material. Two timer options include an intense, 10-second function and 5-second ramp-up followed by intense 10-second curing. BEYOND is compatible with PPD and CPQ photo-initiators.